Manglam Properties invites you to a once in a lifetime opportunity to avail the best property deals. We are a prominent Property Dealer in Kundli Sonipat & Delhi/NCR, offering a comprehensive range of real estate services to the prospective clients. We are widely acknowledged for our services regarding Buy / Sell Residential House & Commercial Shops in Kundli Sonipat & Delhi/NCR, Indore, Jodhpur, Patiala and Baddi. In addition, we also offer one of a kind service real estate service like Property Leasing Services. 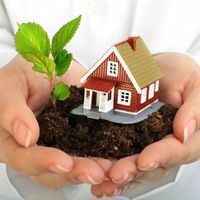 We are regarded as the leading Property realtors in Haryana, as we continuously strive to foster a healthy relationship with our clients that extends beyond the business parameters. In addition, we have a vast experience in the real estate domain and follow a customer friendly policy to help the clients get the best property deals possible.